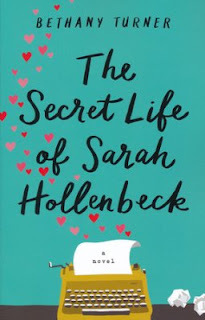 Becoming a Christian is the best and worst thing that has ever happened to Sarah Hollenbeck. Best because, well, that's obvious. Worst because, up to this point, she's made her very comfortable living as a well-known, bestselling author of steamy romance novels that would leave the members of her new church blushing. Now Sarah is trying to reconcile her past with the future she's chosen. She's still under contract with her publisher and on the hook with her enormous fan base for the kind of book she's not sure she can write anymore. She's beginning to think that the church might frown on her tithing on royalties from a "scandalous" book. And the fact that she's falling in love with her pastor doesn't make things any easier. With a powerful voice, penetrating insight, and plenty of wit, Bethany Turner explodes onto the scene with a debut that isn't afraid to deal with the thorny realities of living the Christian life. Buy the book HERE. 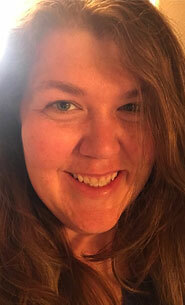 Bethany Turner is the director of administration for Rock Springs Church in Southwest Colorado. A former VP/operations manager of a commercial bank and a three-time cancer survivor (all before she turned 35), Bethany knows that when God has plans for your life, it doesn't matter what anyone else has to say. Because of that, she's chosen to follow his call to write. She lives with her husband and their two sons in Colorado, where she writes for a new generation of readers who crave fiction that tackles the thorny issues of life with humor and insight. Learn more about Bethany HERE.